Since beginning my legal career in legal aid in 1999, I have thought of the role of a lawyer as being a guide through the law. Part of that role is being able to communicate how to navigate that maze without a lawyer. 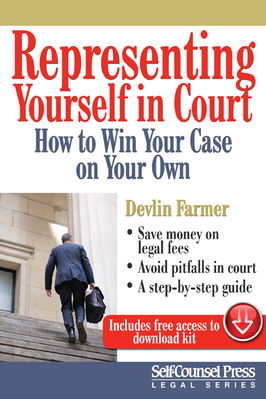 My new book Representing Yourself In Court is the culmination of years of public legal education. It is available in both US and Canadian editions. Practicing law is a dialogue: with clients, with the mentors who have guided me to be a better lawyer and mediator and with myself, understanding my capacities, my limits and how I can be most effective. Writing for other professionals is an extension of this dialogue. I have provided legal education and information talks to a professionals and members of the public on family law, self representation, elder law and other legal topics. Please contact me if you would like to arrange a speaking presentation.